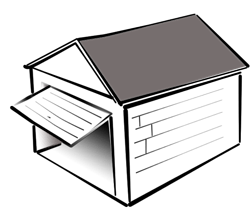 Is your garage door in need of repair? Would you like to replace your existing garage door? You need someone who will respond quickly and be considerate of your needs and concerns, someone you can trust. Coral springs garage door service and repair in Florida is a local & insured company that provide fast garage door repair service at affordable prices and with no after hour fees! With same day service available, we’ll never keep you waiting. We specialize in the repair of most major brand-name garage doors as well as garage door openers. As most great garage door repair companies do, we provide a vast array of proven solutions that are sure to meet all of your door’s fundamental needs, regardless of how small or large they may be. Coral spring garage door offer a variety of models to choose from, and we're equipped to provide quality garage door installation and repair work for commercial and residential clients alike. as a stuck garage door that won’t open, First, DON’T MESS WITH YOUR SPRINGS! They are under high tension and can be very dangerous. Please remember - Garage door springs, cables and hardware are under extreme tension and could cause serious injury or damage. For this reason, only qualified technicians should adjust or replace them. When you turn to us for garage door installation services, you can expect complete professionalism every step of the way. The professional Coral Springs technicians we work with offer quality service by using state of the art tools and machinery the garage door industry has to offer. Their trucks are fully stocked with the most common parts necessary to complete most service calls the first time we come to your home! And we keep our prices reasonable so that you can come away feeling like you're getting good value for your hard-earned money. Coral Springs Garage Door specialize in installation, service and repair of garage doors and automatic openers, as well as custom wood garage doors, commercial and overhead garage doors. 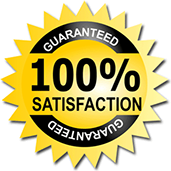 At Coral Springs Garage Door Service we are committed to your safety. All of our repair services include a 20-point safety check, which includes checking your garage door panels, springs, sensors, safety release, hardware, track, and more. 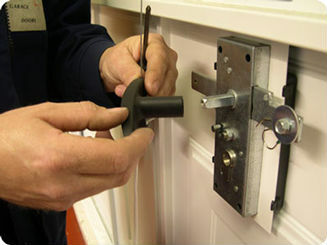 You can also be assisted if you require a specific garage door part. You can choose from a wide range of garage parts that are suitable for any emergency overhead garage doors services. We pride ourselves in providing Coral springs, Florida residents with same day garage repair service and around the clock availability. All Coral Springs Garage Door team members are experienced garage technicians that arrive fully equipped, ready to handle all of your garage door needs! Your safety is our #1 priority. With a multitude of products and services available, you can count on Coral Springs Garage Door to provide you with the results you need in order to enhance your garage door’s efficiency, without charging you a small fortune to do so. Our inventory consists of products from some of the best names in the business, and we offer them at affordable prices to our customers. our products and services or to schedule an estimate at your home.